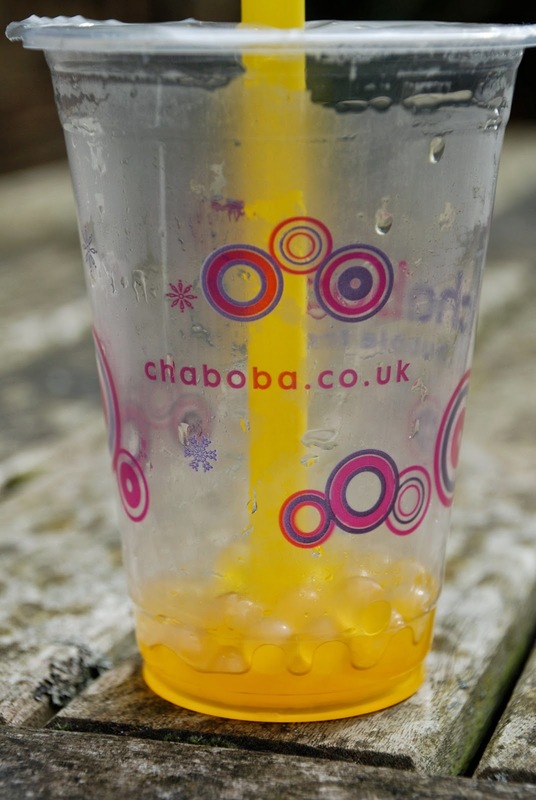 Not being one to miss a trend I've been on the look-out recently for some bubble tea. It's supposed to be the new big thing. Well this morning, as I was racing around, I got to try some. It was a sort of coldish day, so I chose a hot tea. This is mango green tea with mango pearls - or rather, mango-flavoured tapioca balls - at the bottom. You can't see them because they're the same colour as the drink. I had expected it to be more ... well, more bubbly like a glass of Perrier or perhaps more gently bubbly like a glass of Badoit. But this tea had no conventional bubbles at all. 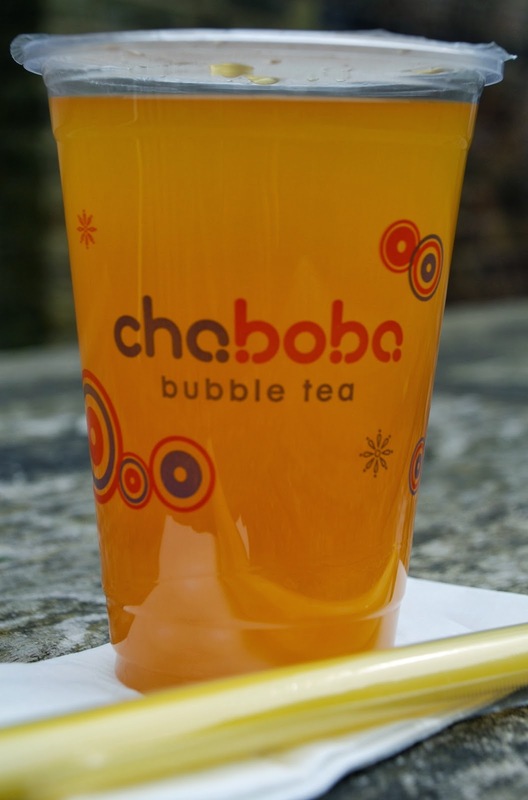 When I slurped up one of the mango pearls through the straw I had a sort of bubble-like sensation as it burst on my tongue. They were kind of weird, like globules of very taut frogspawn, but it was a good weird. And, just for the record: no, I have never eaten frogspawn (!). The tea itself was delicious, once I got used to the idea of drinking a hot drink through a straw. I can imagine how the cold versions would go down a treat on a hot summer's day. I can see my sister-in-law and I ordering them as we gossip and watch our boys play together in the sun. Overall I though it was a very refreshing drink, and a welcome change from my usual coffee hit. I'll definitely order another next time I'm passing.